Beautiful, symphonic in extremis, extremely long, but somehow fails to intrigue me as much as Hurin's Children. If you want to know more, please read my two previous reviews, because I don't like to repeat myself, something that I would do otherwise in this review. Big epic piece, I was looking forward this album a lot. Ainur did very well in past and the more you are listening to their albums, the more of a story you feel. These re-tellings of written words are always amazing, given that genre so fitting for these ancient magical fantasy stories, RPI. There are more "rough" parts, there are milder ones, exactly as the story goes up and down according to twist of fate (or more like narrator). 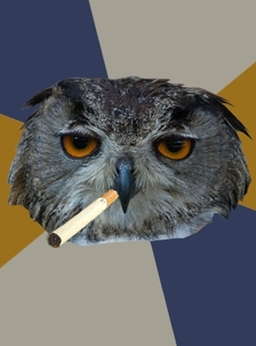 This album is of course poetical, epic, for sure concept and so on, but how it is about music itself actually ? There are parts where you can certainly feel Opera, except forementioned Symphonic elements, you can also experience neat guitar solos, mood parts (especially Before The Throne is full of them). 4(+), not bad album, but I fear it's too long to appreciate fully for now. I don't hope, I certainly know for sure that I will eventually like this album more in future. But take this review as words from someone who listened to this few times and is only in the beginning of the journey. There are weaker parts, there are very good ones too, in average it doesn't make average, but high quality album. As we're used to from Ainur. 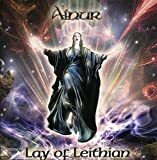 Post a review of AINUR "Lay of Leithian"